The Joslyn Institute for Sustainable Communities (JISC) has agreed to act as sustainability consultants in a new US/Chinese venture: The China/US EcoSTEP® Team. Over a five-year period, with options for renewal, the JISC will work with the Sunborn Low-Carbon Energy Engineering Research Company, Ltd. (SLCER) in helping to find solutions to clean up critically endangered water resources in the Pearl River delta region of Guandong Province. In addition, through their liaison with JISC, SLCER has purchased translation and distribution rights to Sustainometrics: Measuring Sustainability—Design, Planning and Public Administration for Sustainable Living, the guide to conservation-based decision-making, planning and measurement using the EcoSTEP® tool, developed by W. Cecil Steward, President of JISC. 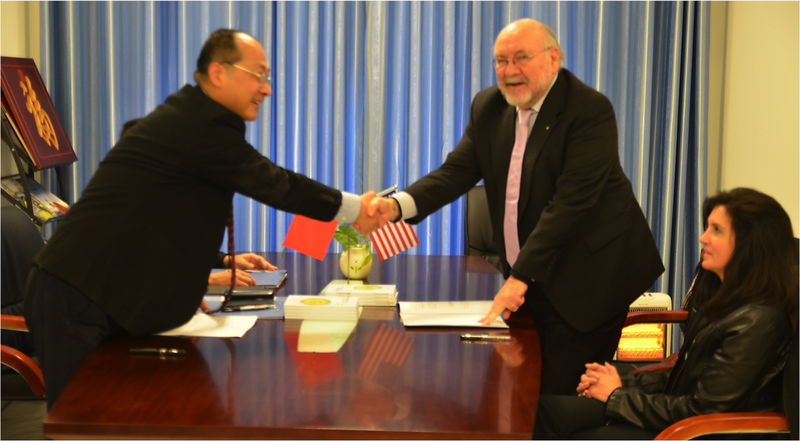 The book, written by Steward and co-author Sharon S. Baum Kuska, has been translated into Mandarin and is being widely distributed among students, professors, government agencies and officials, and business leaders in China. Steward and Kuska also have been invited to be visiting professors at Wu Yi University in Jian Min in Guandong Province, to facilitate work on the central government’s research proposal regarding sustainable solutions to serious pollution in Guanghzhou, Dong Guan, Jian Min, among other cities, and the Pearl River region. As recently as 1980, south China’s Pearl River delta was known for its lakes and rivers. The city of Guangzhou was famous for its six waterways that divided the city. Only three decades ago its residents would go swimming in the Pearl River, or watch dragon-boat races from its banks. Further upriver, Foshan enjoyed over 5,000 kilometers of waterways. People lived by the Pearl River—and on the river—as boats plied its length. 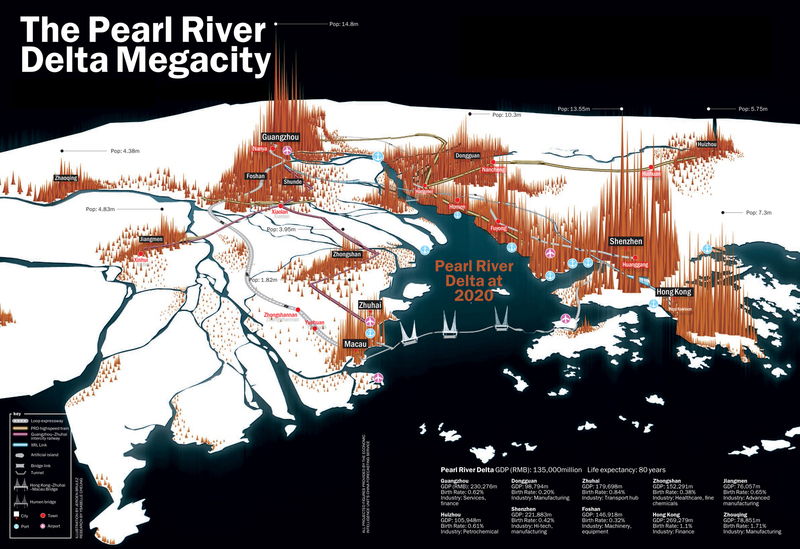 The Pearl River delta today combines abundant freshwater resources and high population density with one of the most intensive export manufacturing zones in the world. Since 1990, the rapid development of water pollution discharge is something provincial environmental protection officials have been scrambling to contain. The region has seen some of the most rapid industrial development and urbanization of any place in the world. Industrial waste, sewage, airborne pollution and more have seriously threatened the future of the region and its inhabitants. 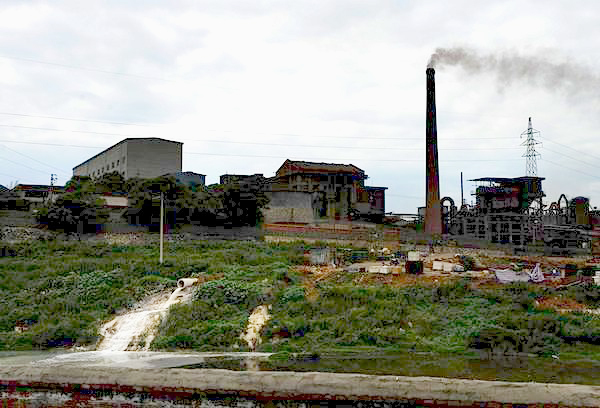 Guandong is the most developed province in the Pearl River basin, and it is responsible for most of the region’s pollution. China’s system of environmental standards classifies water quality with a series of benchmarks, with “class one” the cleanest and “class five” the dirtiest. 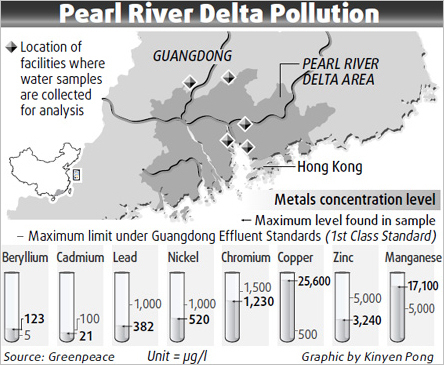 In 2004, water flowing into Guandong was of a “class three” quality, but it was a “class five” – or even below – when it reached the Pearl River delta. Quality was worst of all in Guangzhou. It was “class four” for seven months in 2005, but from January to March that year it was below “class five” the entire time, meaning it was very seriously polluted. Not only were traces of life steadily disappearing from the river, but the water was also black, oily and malodorous. This all-important artery was dying, and many sections were concreted over. 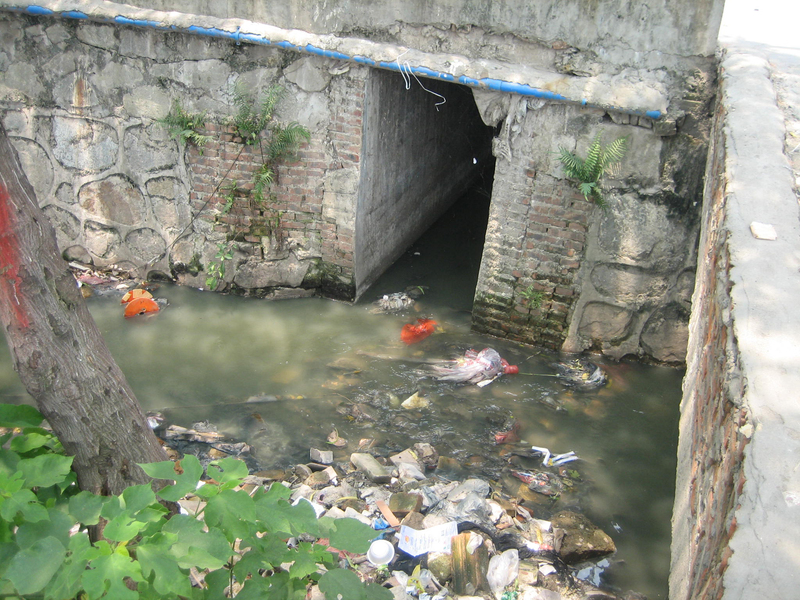 Years of pollution turned the Pearl River and its tributaries into dark and stinking sewers. The polluted rivers also have begun to spread disease. 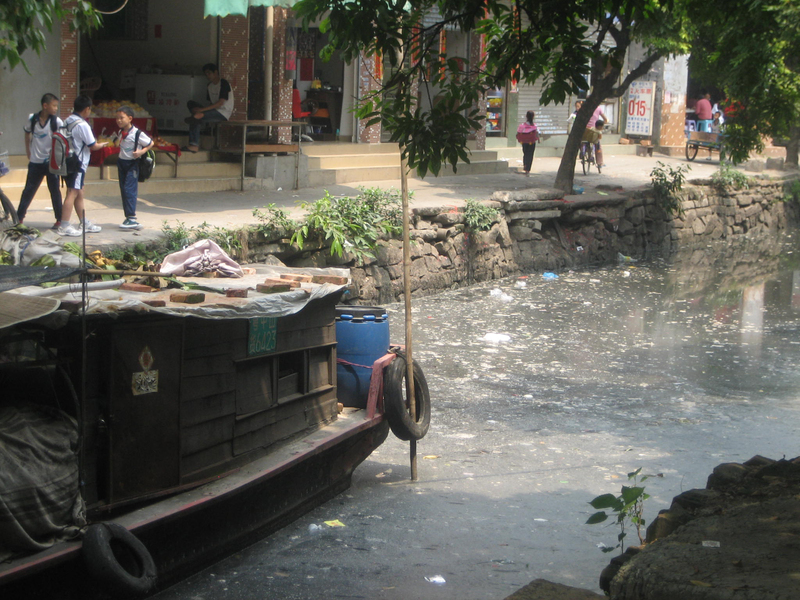 Guangzhou has been facing cases of cholera, which were traced to local river products, such as fish, crab and shrimp. Water pollution in China has been linked to increased chronic and infectious disease, causing negative social and economic impacts. Increasingly stringent water protection regulations and pollution discharge standards have set a high bar for companies operating in the region, but environmental protection officials have struggled to enforce them, let alone meet them. Health officials are focused on the immediate need for providing safe drinking water to the millions of rural residents who cannot access or afford it, but the contaminated water—with its risk for both infectious and chronic diseases—also has a number of less-visible effects for humans, industry and agriculture. Even as the water quality has improved marginally in the region since 2005, significant challenges remain, according to Steward. Despite steady, enormous investment in treatment plants, the current infrastructure used to treat municipal wastewater is insufficient: 50 percent of sewage is left untreated. In addition, the local economy is still heavily dependent on certain highly polluting industries, and in the face of a slowed economy, the enforcement of environmental standards has eased. As China attempts to balance the demands for economic stimulus against the need for environmental protection, how much progress is made in the ongoing struggle to clean up the waterways will be a key indicator of success, Steward said. Finding a holistic and sustainable balance between development and environmental protection is a major mission of the Joslyn Institute, and the driving force behind the development of the EcoSTEP® tool. While building enough infrastructure in Guandong to meet increasing demand is a challenge, other challenges exist, Steward says. As is true in many countries, regulation of the intersecting issues of protection of water sources, limiting pollution discharge, monitoring drinking water, is made more difficult by the divisions of responsibilities among many different agencies. For example, while the Ministry of Environmental Protection has the mandate to protect surface water bodies and can issue pollution permits, the Ministry of Construction manages municipal wastewater treatment, and the Ministry of Health sets drinking water standards. Thus, the multiple flows into and out of a single river system are managed by a number of competing interests. “The challenges are many,” says Steward, “but we are confident that our liaison with SLCER can begin a process of sustainability education and approaches that will help the process going forward.” Working with the Green China Star agency (analogous to our LEED system) and Sunborn, among others, JISC hopes to help train and educate those working on these problems in the use of such tools as EcoSTEP® to make new progress in the clean-up of natural environments in Guandong Province. JISC will also participate in the International Symposium on Urbanization and Water Environments, to be held in Guangzhou in November, in connection with the second annual Guangzhou Awards.